For centuries aliens have waged a covert war for control of Earth using time travel as a weapon. A select group of humans become their soldiers, genetically modified pawns destined to be caught in the crossfire. But this time, the pawns have a plan of their own…and the fate of all mankind rests in their hands. Fans of complex world building, alternate realities, and non-stop action won’t want to miss Callahan’s books! M.L. 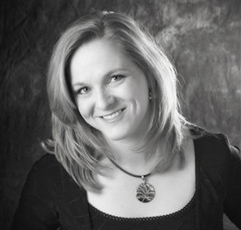 Callahan is a sci-fi fanatic and full time writer. 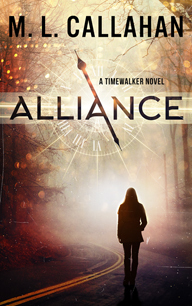 Alliance is Callahan’s twelfth novel. Fans of Hugh Howey’s Wool series; Wayward Pines, Kresley Cole’s Immortals After Dark, Sherrilyn Kenyon’s League Series, or Karen Marie Moning’s Fever Series will not be able to resist Callahan’s complex world building, twisting plot lines, or unique premise. Callahan writes something brand new in the science fiction arena with character driven stories that read more like adventure books than hard science manuals. The Timewalker Chronicles are like nothing you’ve ever read before. Don’t miss this book! **SPECIAL GIVEAWAY**: M.L. is giving away digital copies of ALLIANCE to five (5) lucky readers who comment on her **Author Peek** Interview or Karen’s Killer Book Bench blogs. Don’t miss the chance to read this book! Thanks, M.L., for sharing your story with us! I love time travel and alternate realities! I can hardly wait to see what worlds ML Callahan has spun.